A dazzling honest and provocative family memoir by former child actress and current Fox Business Network anchor Melissa Francis — both a startling personal story and a cautionary tale for both parents in competitive times. When Melissa Francis was eight years old, she won the role of lifetime: playing Cassandra Cooper Ingalls, the little girl who was adopted with her brother (played by young Jason Bateman) by the Ingalls family on the world’s most famous prime-time soap opera, Little House on the Prairie. Despite her age, she was already a veteran actress, living a charmed life, moving from one Hollywood set to the next. But behind the scenes, her success was fueled by the pride, pressure, and sometimes grinding cruelty of her stage mother. While Melissa thrived under pressure, her older sister — who had tried her hand at acting and shrank from the limelight — was often ignored by their mother in a shadow of neglect and disappointment. Tiffany could do nothing to please her mother, but it wasn’t until after Melissa had graduated from Harvard University with a degree in economics, found love, and married that Tiffany’s personal problems culminated in a life-and-death crisis. When Melissa realized the role her mother continued to play in her sister’s downward spiral, she resolved to end the manic, abusive cycle once and for all. 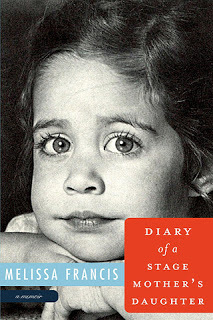 Diary of a Stage Mother’s Daughter is a fascinating account of life as a child star in the 1980’s, and also a disquieting tale of a family under the care of a highly neurotic, dangerously competitive “tiger mother.” But perhaps most importantly, now that Melissa has two sons of her own, it’s a meditation on motherhood. She asks the questions so many of us ask ourselves: how hard should you push a child to succeed, and at what point does your help turn into harm? 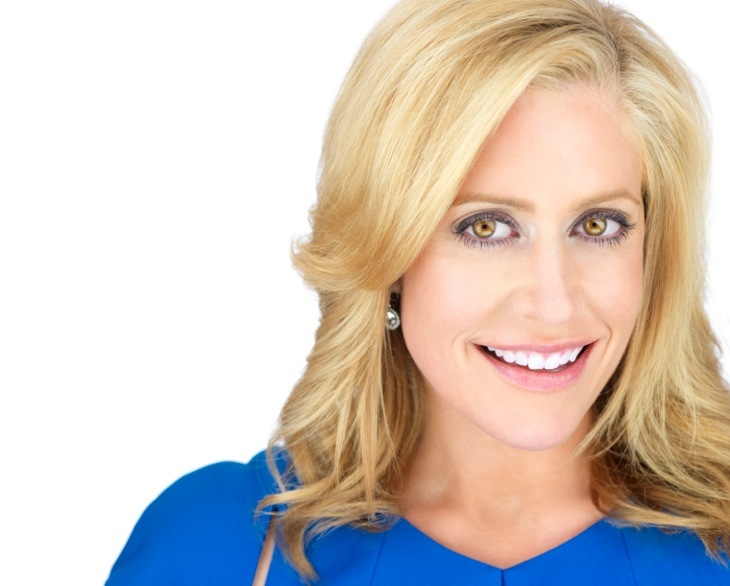 As a childhood fan of Melissa Francis and someone who we see regularly on Fox, I was eager to read the story of her life. Her story grabs you in the first chapter and moves you quickly through the the next 20+ years of her life. As a mother, I cringed again and again as she told of occasions of her mother’s verbal, physical and emotional abuse. It was completely unimaginable to me to have a mother be so completely unreasonable and unstable. Even her husband was afraid to confront or stand up to her. What a sad situation for Melissa and her sister Tiffany growing up. I am just grateful that they had each other. As I read the story, the mother’s behavior reminded me of someone with bipolar disorder with her manic episodes and extreme highs and lows. It didn’t seem to matter what the girls did, the mom always found a reason to yell and be upset with them. If it wasn’t for Melissa’s strong drive to succeed, I’m not sure she would have ever come out from under her mother’s stranglehold. I was impressed with Melissa’s ingenuity in finding ways to avoid being home and for ways she found to get ahead. She truly saved herself from future disaster. I just wish her sister could have done the same. Just when you think the mom can’t do much more harm to her family, she completely outdoes herself. The ending left me crying, shocked, and angry. I give Melissa credit for sticking to her guns, not repeating the cycle of abuse, and moving forward. I’m sure writing this memoir was therapy in itself. Melissa Francis, author of Diary of a Stage Mother’s Daughter, grew up in southern California. As a broadcast journalist, she has anchored CNBC’s Power Lunch, The Call, and On The Money, and served as a regular contributor to the Today show and Weekend Today. Currently she hosts two daily business shows on the Fox Business Network, including Money with Melissa Francis. Francis holds a Bachelor of Arts degree in economics from Harvard University. She lives in New York City with her husband and their two sons. Melissa Francis enjoys discussing her book with her readers and is available for book club meetings as her schedule permits. If your book club would like to schedule a phone or Skype interview with her, visit her website at http://www.melissafrancisofficial.com/. You can also find Melissa on FACEBOOK or TWITTER. I was given a copy of this book for review. I was not compensated in any other way for this review. This review is my honest opinion.